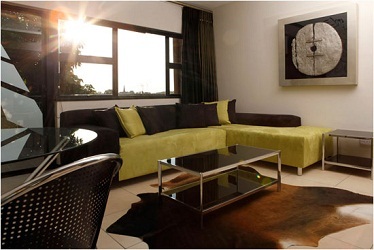 12 Stars Lifestyle Apartments is situated in Melville, Johannesburg, and offers accommodation in studio apartments. 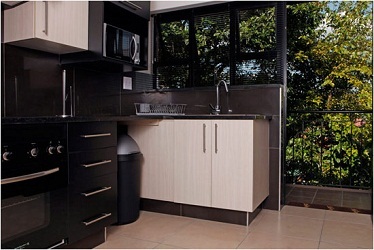 The apartments that can sleep two and are equipped with a kitchen, full bathroom, a bedroom with king or twin size beds, balconies, and DSTV. Breakfast is served at an additional cost. 12 Stars offers transfers, tours, conference facilities for 10 to 12 delegates, 24-hour check in facilities, ADSL wireless Internet, secure parking, and a security guard.It is located close to many restaurants, bars, shopping centres, and businesses. Attractions and activities in the area include the Cradle of Humankind, Maropeng Visitor's Centre, Sterkfontein Caves, Rhino and Lion Park, Johannesburg Zoo, Pilansberg National Park, hiking, mountain biking, game drives, fishing, walking trails, Constitution Hill, Hector Peterson Museum, and the South African National Museum of Military History.Pretoria is a short drive away and offers the Union Buildings and Voortrekker Monument.